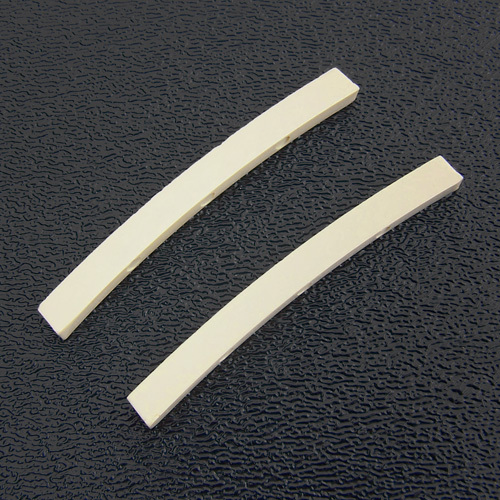 Genuine Fender® simulated bone (Melamine) string nut blanks. 2 nuts per package. 9.5" radius. 1.75" wide. Some filing/modification will be required for proper fit.